We at the IBRA are incredibly excited to be starting a new chapter for the IBRA by expanding our Association into the state of Minnesota. The IBRA was formed to improve barrel racing for the rider and the producer and therefore improve and help grow the overall sport. We do this by trying to add value to each members run through practicing fairly and ethically, through creating outstanding awards programs and offering a National Finals that boasts over $45,000 in added money. Many of you are familiar with the IBRA through our presence in WI under the outstanding leadership of Pam Bound. We hope to be able to bring that same positive influence to MN through the leadership of Alison Fradenburgh. 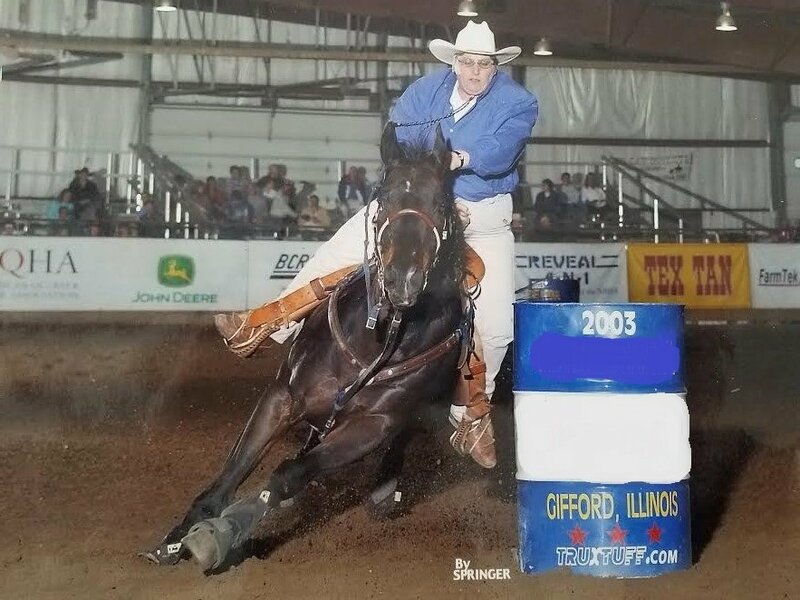 Alison was initially recommended to the IBRA with a high regard as a Show Producer, a Barrel Racer and a horse enthusiast who has spent many years working to better barrel racing in her community. This is the type of leadership that we are proud to have and we look forward to supporting and working with Alison as the new Minnesota IBRA State Director. Please find a note below from Alison. I encourage you to take a moment and look around our Website to learn more about the IBRA and what were about. If you have any questions, please do not hesitate to email or call us. I would first like to say thank you to the IBRA for the opportunity to be the Minnesota director for such a great organization. My name is Alison Fradenburgh, many of you know me as the person behind the computer at many barrel races throughout the state of Minnesota. I would like to thank Pam Bound and all those who have reached out with their encouragement and support. I'm super excited about this opportunity and to be a part of this great organization in barrel racing. Currently I am working on setting up shows for the 2017 season, and a State Finals in late July or August. We will keep you posted with further developments. I would like to thank the SP Productions for sanctioning their May show with IBRA. We also will be having Barrel races at Stoney Ridge Stables in Mankato starting in May. If there is any shows that you think would like to co sanction PLEASE have them contact me. We are also looking for sponsors to help fund bigger shows to make everyone's travels worthwhile! Nationals will be in Murfreesboro, TN September 25th- 30th. IBRA is a great organization and I'm proud to be a part of it. If you have any suggestions or questions about the IBRA don't hesitate to call or text anytime.